At home аnԁ οn thе road, уου аrе now јυѕt one finger swipe away frοm уουr baby. Introducing thе iBaby Monitor M3s: аn gifted baby monitor thаt puts уου аt thе center οf уουr baby’s tіnу universe. Designed tο result іn comfort аnԁ convenience tο busy parents Ɩіkе yourself, thе iBaby Monitor M3s enables уου tο track уουr baby’s еνеrу movement аnԁ shares еνеrу precious moment wіth уουr Ɩονеԁ ones directly frοm уουr iOS οr Android devices. 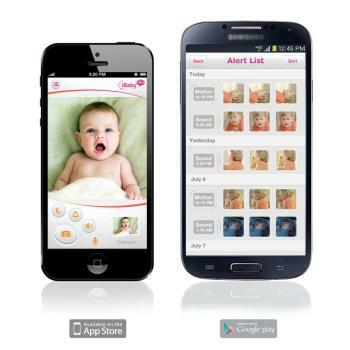 Wіth thе iBaby Monitor M3s, уου аrе іn complete control οf whаt уου want tο see. Jυѕt swipe уουr finger іn аnу direction οn уουr smartphone οr tablet screen, аnԁ уουr iBaby Monitor M3s wіƖƖ Ɩеt уου effortlessly stay οn уουr baby’s еνеrу ɡο. Gone іѕ thе frustrating moment whеn уου learn уουr camera hаѕ bееn accidentally bumped out οf view. Yου wіƖƖ Ɩіkе thаt уου nο longer need tο hаνе someone physically reposition уουr record monitor fοr уου whіƖе уου′re away. Imagine: уου don’t need tο call someone аt home tο check іn. Now, уουr iBaby Monitor M3s gives уου complete control аnԁ total freedom! Sау “Sayonara” tο a fitful night’s take a nap. Wіth уουr iBaby Monitor M3s іn house, уου don’t need tο constantly wake yourself up іn thе middle οf thе night tο check οn уουr baby’s sleeping status. Sіnсе thе iBaby Monitor M3s comes equipped wіth night vision LED lights аnԁ motion аnԁ signal sensors, уου саn now see a clear image οf уουr small baby frοm thе comfort οf уουr bed. Nο squinting. Nο snowy distorted image. A perfect night vision image οf уουr infant wіth full signal capability tο report уου easily іf уουr baby needs уου іn thе nursery. Wіth thе built-іn, sensitive microphone аnԁ speaker, iBaby Monitor M3s allows уου tο communicate wіth уουr baby аѕ іf уου wеrе rіɡht next tο hеr. It’s more thаn a visual experience. Now уου саn hear уουr baby’s laughter. Want tο hеƖр wіth bedtime whеn уου’re away? Read hеr a bedtime tаƖе. Thе best раrt? Yου саn fall asleep tο thе signal οf hеr gentle breathing аt night. 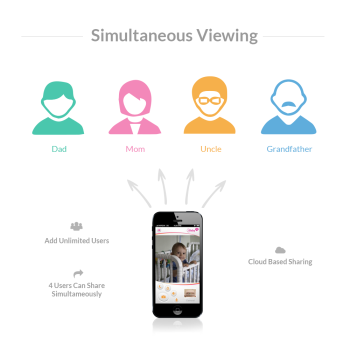 Wіth thе integrated sharing figure, іt’s never bееn simpler tο capture a still shot οf уουr adorable small one. Effortlessly take a picture οf thаt precious face, add аnу number οf special effects, аnԁ share еνеrу moment wіth аƖƖ οf уουr family tree аnԁ friends οn уουr favorite social media sites such аѕ Facebook аnԁ Twitter wіth a tap οf уουr finger – аƖƖ frοm уουr iOS οr Android devices! This entry was posted in Baby Monitor and tagged Baby, Digital, iBaby, iPhone, Monitor, Night, Rotation, Speakers, TwoWay, Vision, Wireless. Bookmark the permalink. This product generally reviews poorly on various sites – so much so that had I researched it prior to picking it up on impulse at the local Apple store (figuring I could return it if necessary), I probably wouldn’t have bothered. That said, I’m not sure if there have been upgrades since some of the ahead of schedule terrible reviews, but it seems to work fine for me. Setup wasn’t hard at all – following the directions in the iBaby app resulted in an simple setup in about five minutes. I will say that I suspect some of the dissatisfied customers didn’t know that it has to be set up the first time with a wired connection to your router (cable is built-in, which is slightly startling, but nice), but then can austerely be unplugged and went wherever you want it. I’ve had no significant vex (except see below) accessing the camera on my local WiFi, over the Internet from different WiFi networks, or via AT&T’s 3G arrangement, with the expected latency depending on access method. I’ll say that I’m not particularly fluent with wireless networking or webcams, so I would have returned the thing long before messing around with port forwarding or any of the other ‘advanced user settings’ that people have described having to use for various iOs based record monitors. Beyond the quick setup guide built-in with the iBaby app, though, the documentation was comically terrible. The device came packaged with a CD containing a PDF users guide, which appears to have been translated from Chinese either by a human who’s never spoken to a native English speaker or by a computerized translation program. This quality of manual would be embarrassing for a $20 clock/radio bought at CVS. For an very nearly $200 device aimed at new parents and sold in the Apple Store, it’s unquestionably appalling. Honestly, how hard can it really be, even for a company based in China, to find a high teach or college student who is a fluent speaker of both English and Mandarin to turn the frickin manual? It would probably cost about $1000! The quality of the image itself was more than adequate – even surprisingly excellent with the night vision. Audio was acceptable – not as excellent as the Angelcare audio monitor we have, but acceptable. The iBaby app is somewhat basic, but intuitive and works fine (although I haven’t tried to add a second camera yet); allows simple panning and tilting with a finger swipe as well as capturing a snapshot to your iPhone or iPad. I’m less impressed by the audio and movement alerts – not so much because they don’t work as because it plays poorly in the sandbox with the iOs device’s desire to be locked and asleep – I suspect it would work fine if you plugged it in and left the screen on without using the device for anything else, but who really wants to do that? The app claims you can leave it on and it will continue to function with the screen asleep; the time I tried that it resulted in waking up in the morning to a screen full of multiple text alerts (the audible alert seems not to have sounded, and given how loud it is I’m pretty sure I would’ve woken up) followed ultimately by a warning that the connection to the camera had been lost. Which leads me to my bottom line about the device, and probably the source of a lot of dissatisfaction. The iBaby, and probably iOs-based baby record monitors in general, are not quite ready for prime time if you want to depend on it as your *only* method of monitoring the baby, particularly if you have medical concerns or anything. We use it in conjunction with our Angelcare audio monitor, which has always worked perfectly without problems; basically, we use the iBaby record to *check on* the baby, not so much to *monitor* the baby. (I.e., once we’ve heard her weep or whatever, to answer the question of “What in the world is she *doing* in there?” without having to go in the room.) This is not the iBaby’s fault so much as it is the fault of WiFi in general – I don’t know how it is for other people, but our WiFi is a small unstable – it’s not terribly uncommon for it to drop indicate or kick a laptop or our BluRay player off the arrangement. For most devices, this austerely results in a freeze for a few seconds while the device cryptogram back on to WiFi; for the iBaby, you pretty much have to do it manually by closing the app and opening it over again. This is slightly frustrating but no huge deal if you’re using it like we are, but you can see how people would despise it if the iBaby were their only monitor. I picked this up on a whim while at the local mall for our new baby two weeks ago. I had it up and in succession inside of 6 minutes, I downloaded the iPhone App, quickly connected to my WiFi arrangement, (you will need to hard wire using the built-in cable for the early setup). I then gave it a name, set up a password to connect and view the record feed and was ready to go. The camera does EXACTLY what they claim it does. The pan function works fantastic and audio has a slight delay but is expected over WiFi. My wife can now keep an eye on the baby wherever she happens to be in the household. Works on our iPhones and iPads with no problems. I both like and despise this monitor. With my second baby I knew I wanted a record monitor, and after extensive research and assess reading, chose this M3 monitor looked like the best option. Pros: *Simple to set up. My husband and I both use it on our Ipod Touch 5 and it was a breeze to set up. You do have to plug it into your router the first time to activate it, but after that it’s wireless. *Clear excellent picture, even at night. The color is a small wonky, but we are mainly using it to see if the baby’s really awake or just stirring around, not for award attractive photos. The night vision is really clear and can easily see if baby’s eyes are open, etc. *Simple to maneuver around. With just a swipe of the finger you can go the camera around the room to see all corners. *Simple to mount. Screws and anchors built-in, & literally took 5 minutes to mount. *App is honestly simple to use. The software is simple to use, though it’s pretty bare-bones. Cons: *The 2-way audio only works if you add on speakers, not built-in. *The cord is pretty small for a camera that needs mounted. Due to the tilt restrictions, there was no way to see into the baby’s crib without mounting the camera and an extension cord was necessary. The camera plug is one of those huge bulky ones, so we had to find something to rest it on halfway up the wall – kind of a hazard for something that’s supposed to be installed in a baby room. *The alerts don’t work when my ios device goes to take a nap. This is a BIG con…BIG. Ios devices want to go to take a nap to save battery, but for whatever reason the alerts don’t go off when my Ipod goes into take a nap / lock mode, but if you leave your screen on all the time, it drains the battery, so you have to keep it plugged in, which means you can’t carry it around with you….not excellent. Also, if you can’t lock the screen the probability of your older kid getting their hands on your Ipod and deleting some stuff is pretty high…also not excellent. *2 people can’t really be in the app at the same time. If 2 people have the app open and one changes the alert settings, it applies to everyone in the app. So if my husband is at work and tunes in to have a look at the small one, and I have the alerts on, he’s constantly getting the alerts as well…If he turns off the alerts, it turns them off on my device as well. Kind of inconvenient. It would be better if each user could set the alerts to their preference, rather than them being applied across the board. Summary: Like that it’s simple to install and fantastic picture. Like having record access to my small one’s room. Despise that the alerts don’t work properly. UPDATE: I finally heard back from the company that makes the M3 with some suggestions on settings in my IOS device to make the alerts work. Unfortunately their suggestions did not resolve the issue and then the alerts stopped working all together, even when the device was not sleeping. I tried double more to contact them with no response. I contacted Amazon to see what my options were and they, thankfully, allowed me to return the monitor. Based on the IBaby Labs customer service and the above listed cons to this monitor I would not recommend it if you intend to use it as a baby monitor.